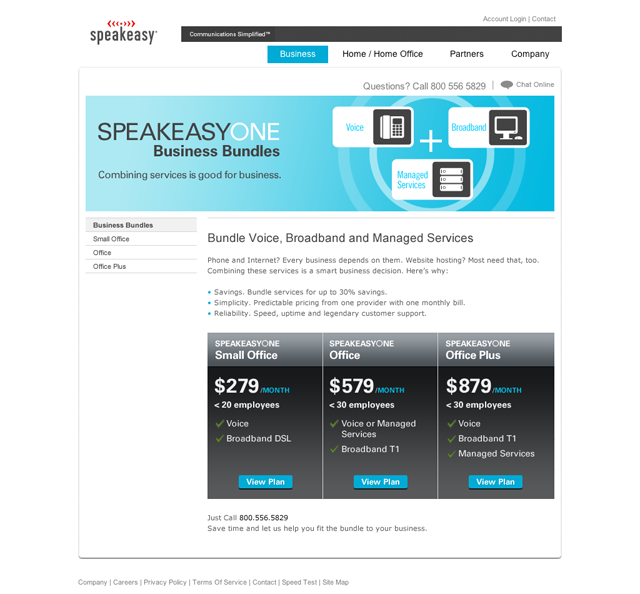 Speakeasy is a leading Northwest ISP that pioneered the concept of the Internet cafe. They approached us to design a landing page, animated Flash banners, and a visual language for their new Business Bundles service packages. We designed distinct iconography and a fresh visual approach for the launch of the new service packages, as well as designing a landing page that offers customers easy access to product details and pricing. The animated banners and distinct look we created set the new packages apart from Speakeasy�s disparate business offerings and helped to drive sales.